Keep your bracelet in style and secure with this silver chain lock by Chamilia, adorned with careful detailing for a fashionable edge. 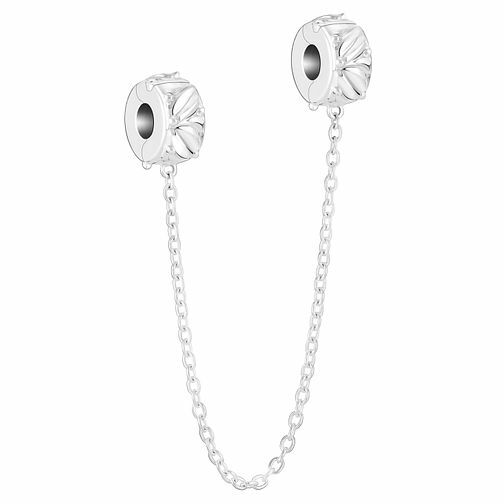 Chamilia Sterling Silver Laurel Safety Chain Lock is rated 5.0 out of 5 by 2. Rated 5 out of 5 by Anonymous from Very good product This lock is lovely and keeps my bracelet together. Rated 5 out of 5 by Anonymous from Excellent Good quality, looks good, does the job well. I bought this for my Mums 84th birthday. She loves her Chamilia bracelet and always worried about losing it. Now it is safe!